My packed lunch for today is a Tuna and Sweetcorn Pasta Salad plated for those at home in sundae glasses and packed to go for the rest. Chop the spring onions. Cook the penne according to the instructions on the packet. Drain and keep aside. Drain the brine from the tuna and add the olive oil. Season with salt and pepper. Mix. 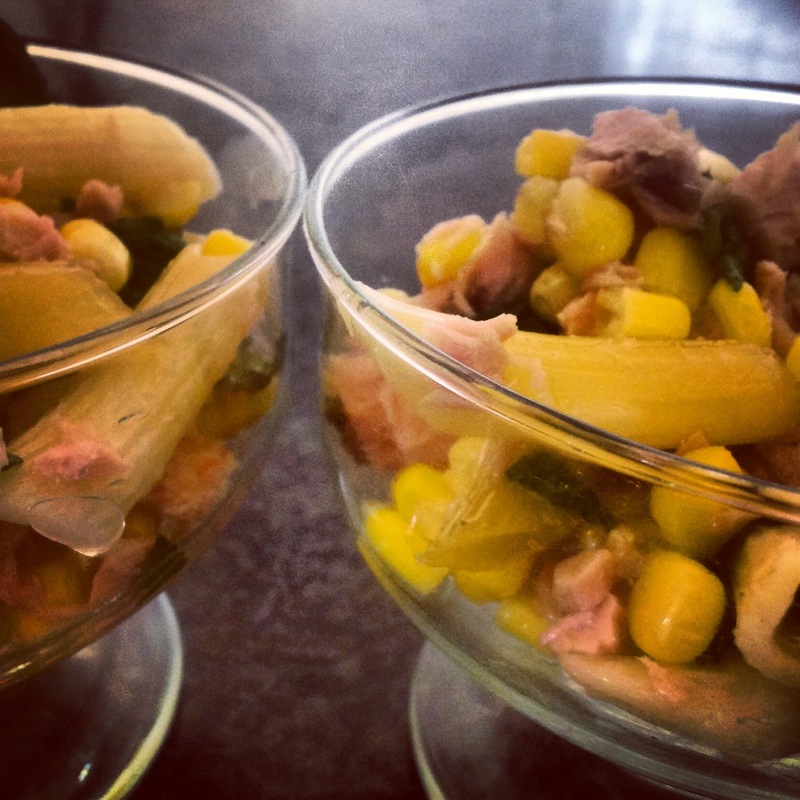 Mix the penne with the spring onion, tuna, sweetcorn, mayonnaise. Refrigerate for an hour and serve or pack to go. ← Sunday Baking, as light and airy as an old fashioned Swiss Roll …..